but we can download the same you tube video in a minute by changing the URL. YouTube has been designed to only allow users to watch videos on their website. Lot of people want to download or save their favorite YouTube videos to their PC so they can watch them without Internet or on other machines. 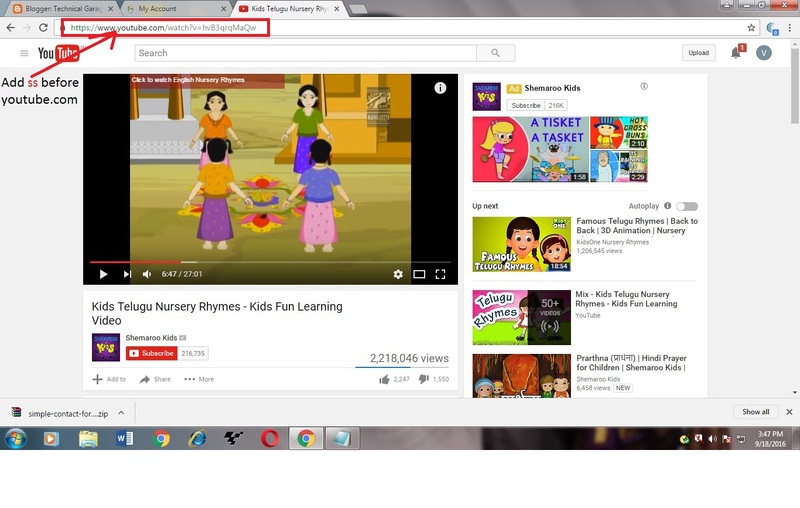 Add ss before the youtube.com in the URL. Check the below image to understand clearly. The URL after added 'ss' is should be like www.ssyoutube.com/watch?v...etc. 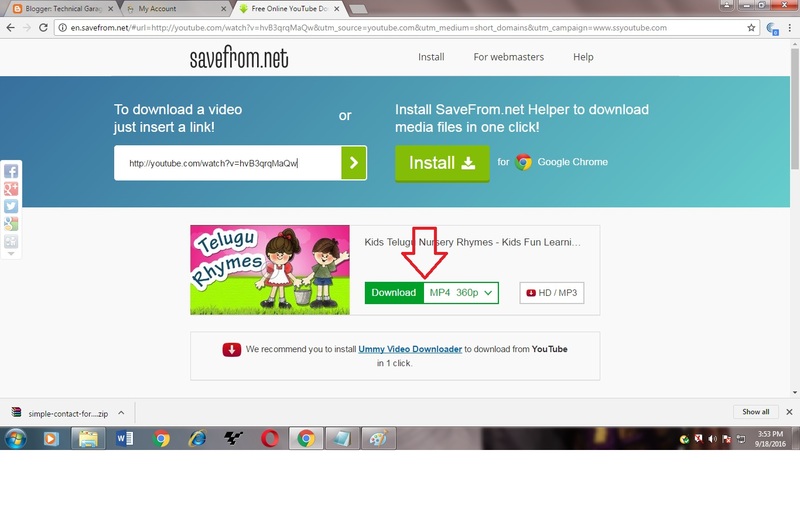 Press the download button to download you tube video directly. See the below image for clear understanding. Make sure you are choosing the 'MP4 360p' or 'MP4 480p' option from the download link which is shown. However we can download youtube videos from other third party applications like youtube downloader but it will take some time to download videos from youtube. 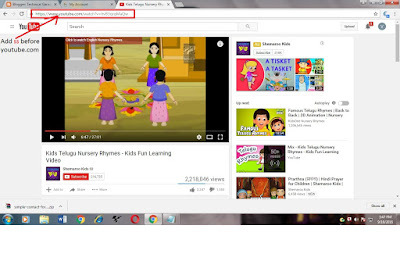 For employees, the third party applications are not allowed by default in some companies, so that they can not download youtube videos from those applications, in those cases this method is very useful to download youtube videos easily. I think you have enjoyed with this trick of how to download videos from youtube, anyhow thank you.